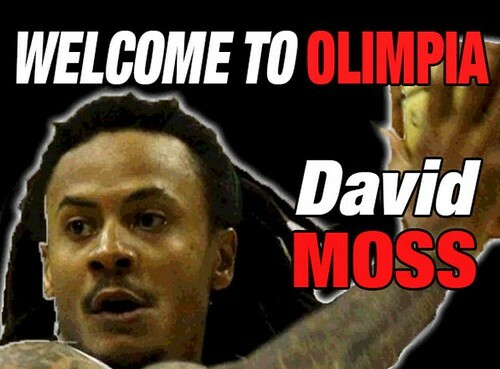 Olimpia, two years with David Moss! Pallacanestro Olimpia EA7 Emporio Armani Milano agreed on terms with David Jerard Moss, coming from Mens Sana Siena. A small forward, 1.96 mt. tall, Moss has played in Italy for the last six seasons, the first one in Jesi (Legadue) and the rest in Teramo, Bologna and Siena, where during the last three years he won three times the Italian championships, three times the Italy Cup and twice the Supercup, leading the team to a Final Four appearance in 2011. COACH BANCHI’S OPINION – “David Moss is a player with well-defined skills that gave him the opportunity to become over time one of the best defensive player in the League. He’s a versatile player, full of energy and intensity. He’ll be a key component of our perimeter players rotation”. WHO’S MOSS? – David Moss was born in South Holland, Illinois, very close to Chicago in 1983 on September 9, attended the Thornwood High School (All-State first team as a senior) and then the Indiana State University, the same college attended by the great Larry Bird and the former Milano’s guard Nate Green. He finished his college career as the fifth best scorer in the school history. Moss came to Europe in 2006 to play for Polpak Swiecie in Poland. The following season he arrived in Jesi, reaching the playoffs finals. At the end of the season his Jesi’s coach, Andrea Capobianco moved to the top league, in Teramo, bringing Moss with him. Teramo finished the regular season third and was eliminated in the quarterfinals 3-1 by Milano (in the same season Teramo also reached the Italy Cup semifinals). During that seaosn Moss set his career-high in points per game (12.9) and rebounds (6.1). Moss moved to Bologna and played his first of four consecutive Italy Cup finals, in Avellino, losing to Siena. In the last three seasons has also played the Euroleague. In the last season he scored 11.5 points per game, averaged 4.1 rebounds and set his personal-best by shooting 41.7% from three. Here the All-Time leading scorers at Indiana State University. Larry Bird is first, David Moss is fifth. Moss is also ninth in rebounds and eightht in steals.